Post Graduate Intro to Social Psychology Note on WEEK 2: THE PSYCHOLOGY OF SELF-PRESENTATION AND PERSUASION, created by Brian Nichol on 08/18/2013. 2. 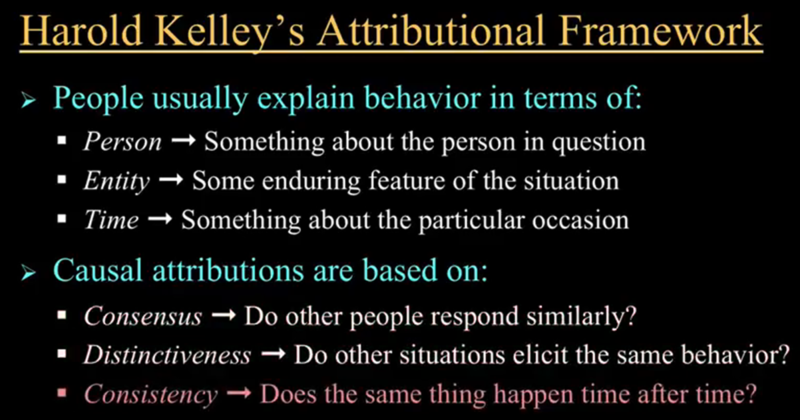 Some Twists and Turns When Explaining Behavior when making attributions, consensus is often not a factor, while distinctiveness and consistency are a big factor The fundamental attribution error is the tendency for people to underestimate the impact of situational factors and overestimate the role of dispositional factors (people related factors) in controlling behavior - it is a true error example of FAE - "Being Sane in Insane Places" reading East Asians are less likely to make this error Actor-Observer Differences in Attribution - actors are more likely to explain their behavior as a function of situational factors than are observers - this is simply a bias, not an error - differs if behavior is positive or negative due to salience visual orientation can make a big difference when describing situational or dispositional explanations. 6. 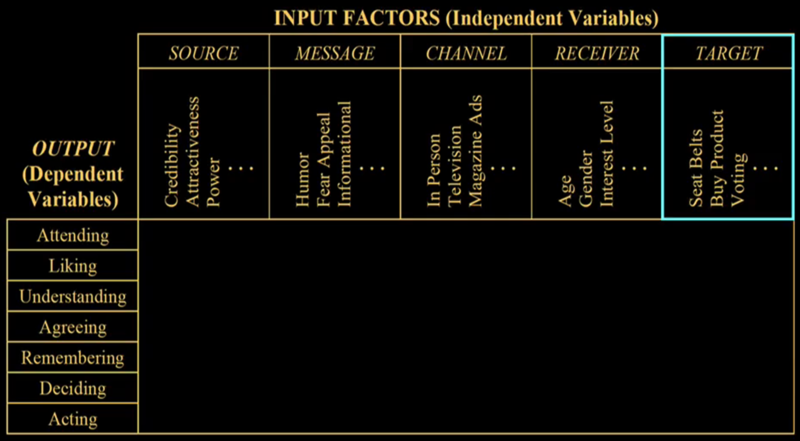 How to be Persuasive - Attitude Change see McGuire matrix summarizing the input and output variables influencing persuasiveness if you want to be persuasive should you... discuss counter arguments to your position? - better to acknowledge and refute counter arguments before presenting your own when the counter is made salient or when the receiver is highly intelligent and/or opposed to your position - here you present a 2-sided appeal. Attitude inoculation - similar to a 2-sided appeal but you only raised mild criticism of the counter position and the receiver generates the counter arguments use a central (fact-filled, stats, arguments) versus peripheral route to persuasion? - central works best when people are highly involved in the argument scare the receiver with a fear-based appeal? - yes! as long as you give people specific steps to avoid the threat.